After her first collection, she realized she had spent all of her personal savings, including cashing out a 6-figure 401K to sustain her company. When it came to launching her second collection, the business went belly up and she had her back against the wall with no money left to run the business. She decided to seek help from banks, as any business owner would, but they turned her down. They told her there was no way out and no one ever told her about the possibility of alternative credits options. After stumbling upon alternative financing, she knew something needed to change. She knew that running a business, be it online or offline, shouldn’t have to be that hard. She went back to the basics and learned from the best of the best in the industry. Myra has been certified by the National Associate of Credit Management in Business Credit. She is also a Personal Finance Counselor and a Personal Credit Expert. 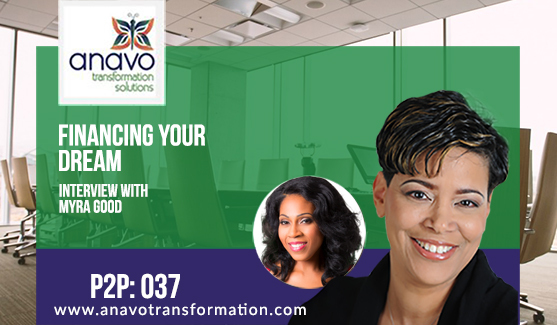 Today she’ll be sharing her knowledge about alternative financing and how you can possibly use it to find more success in your business. How do you help individuals find success financially? What other options are there in regards to financing? What are the costs to alternative financing? What are some pitfalls that companies tend to fall into when they’re looking for financing? What types of businesses do you specialize in working with? What business credit is and how you can use it. How you can position yourself so you’re not personally reliable for your business’ finances. Myra’s favorite way alternative to traditional business financing. The difference between a line of credit and a loan. Why a business owner should look into getting credit before they really need it.